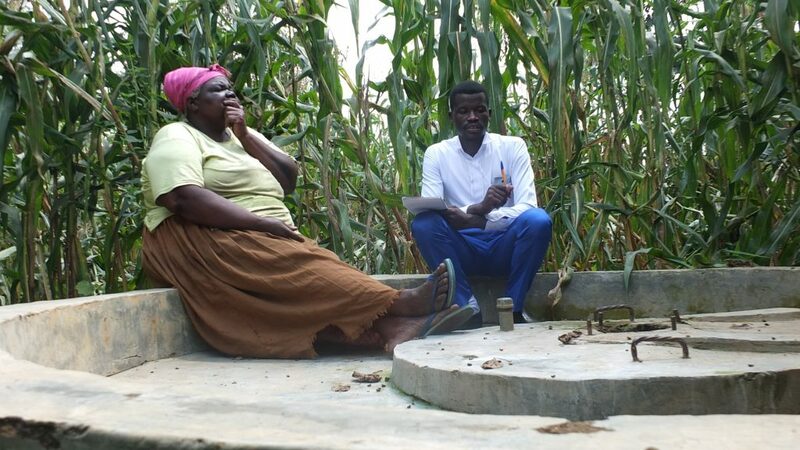 A year ago, generous donors helped build a shallow well in the Kakoyi Community in Western Kenya. Because of these gifts and support from our monthly donors, partners are able to visit project sites throughout the year, strengthening relationships with communities and evaluating the actual water project. These consistent visits allow us to learn vital lessons and hear amazing stories – we’re excited to share this one from our partner, Paul Weringa, with you. The Kakoyi Community has faced many challenges since implementing a shallow well rehabilitation. 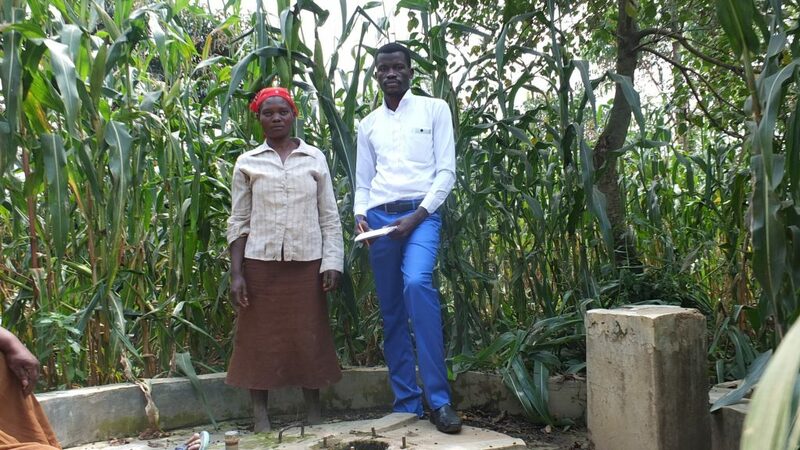 Agness Natsani, the woman in charge of the well’s security recalled, “In the beginning, we enjoyed the service of the borehole after being rehabilitated. 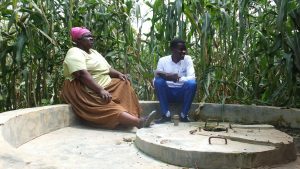 The water was clean and safe and every woman was relieved of walking long distance to the stream, which had contaminated water.” However, social conflicts and reports of well contamination led many of the community members to abandon the well. Many said that the water they were drawing from the well was yellow. People stopped contributing money to the Water User Committee, the local group responsible for the upkeep of the well, when they lost trust in the quality of the water. Maurine James, age 24, started fetching water back at the old water source and feared new outbreaks of waterborne diseases. 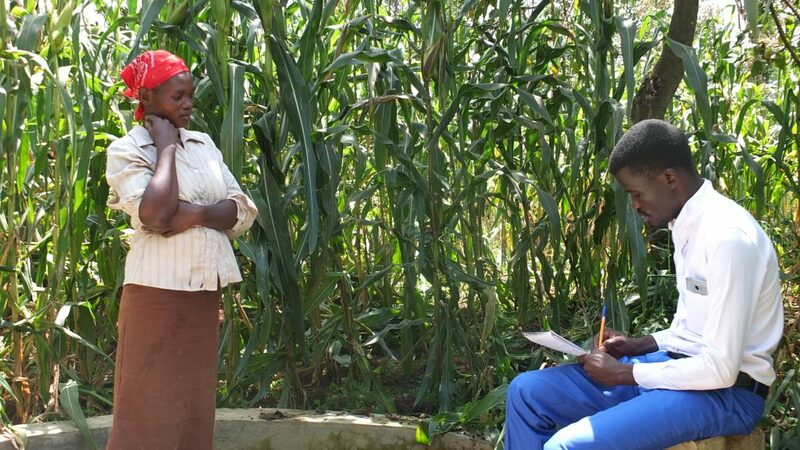 Ms. Natsani reported, “community members dug their own shallow wells in their homes.” In fact, maize was planted all around the non-functional water point, without a path leading to the abandoned well. Since the community was not using the well and not contributing to a solution, SAWASHI removed the pump so that the parts would not be stolen. The good news is that the SAWASHI did not give up on the Kakoyi Community. The team continued to engage the community, listen to their concerns, and returned in September to clean out the well. The water is now clean and the pump is functional. However, long term sustainability depends on continued community investment in well maintenance, and the SAWASHI team is working with the community to set up structures that will ensure clean water access for years to come. When you invest in The Water Project, you're investing in people like Agness Natsani. Your gifts help us reach more communities with the gift of clean, safe water. And every drop helps unlock potential.